Long, long time ago, in the year 1994, System 3, the author of the original Putty game, has released a 8 level preview of a new game called Putty Squad. 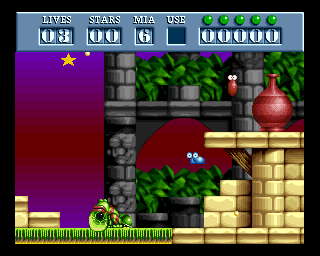 It meant to be a direct sequel to Putty for AGA Amiga computers and everyone loved it. 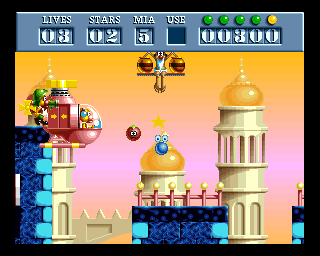 Unfortunatelly, due to the collapse of the Amiga market, the game - although almost finished - remained canned in the drawer of Mark Cale, the director of System 3. Only the SNES version was finished and commercially released and it was a good game. For almost 20 years Amiga community asked Mark to release Putty squad for free or for some download fee, but without any success. Finally, on the christmas 2013, a miracle happened. Putty Squad was reborn for nextgen console Playstation 4 AND its finished - thanks to EAB forum members - original Amiga version was finally released to the Amiga community. This website doesn't talk about Putty Squad (at least at the moment), but you can download it from the System 3 page for free. It is really worth playing.